The CAE Brunei Multi-Purpose Training Centre (MPTC) today announced it has officially started training at the new training facility located at the Brunei Economic Development Board (BEDB)'s Rimba Digital Junction, Brunei Darussalam. The official Launch of Training ceremony and celebration was attended today by the Guest of Honour Yang Mulia Dato Paduka Awang Haji Ali bin Apong, Deputy Minister at the Prime Minister's Office and Chairman of BEDB. The CAE Brunei MPTC Launch of Training event was also attended by other Government of Brunei officials and CAE executives, as well as customers of the CAE Brunei MPTC. The CAE Brunei MPTC is a joint venture between CAE, based in Canada, and the Government of Brunei Darussalam through the Ministry of Finance. "The CAE Brunei Multi-Purpose Training Centre is a shining example of Brunei's investment in diversifying and growing knowledge-based industries, and CAE is honoured to be a partner in helping Brunei Darussalam achieve its National Vision, or Wawasan," said Gene Colabatistto, CAE's Group President, Defence and Security. "The MPTC will now provide high-quality job opportunities for local Bruneians, and the facility will play a key role as a world-class learning and training hub for a range of industries, defence and security forces, and the wider Association of Southeast Asia Nations (ASEAN) region." The CAE Brunei MPTC has worked closely with the Brunei Economic Development Board (BEDB) as well as other stakeholders in Brunei to ensure the successful start-up of the CAE Brunei MPTC. This project is one of the highest non-oil and gas investments secured by the BEDB with a total investment valued at more than US$100 million. Additionally, this project will create 65 local jobs and by the year end, there are plans to have 100 positions for Bruneians. 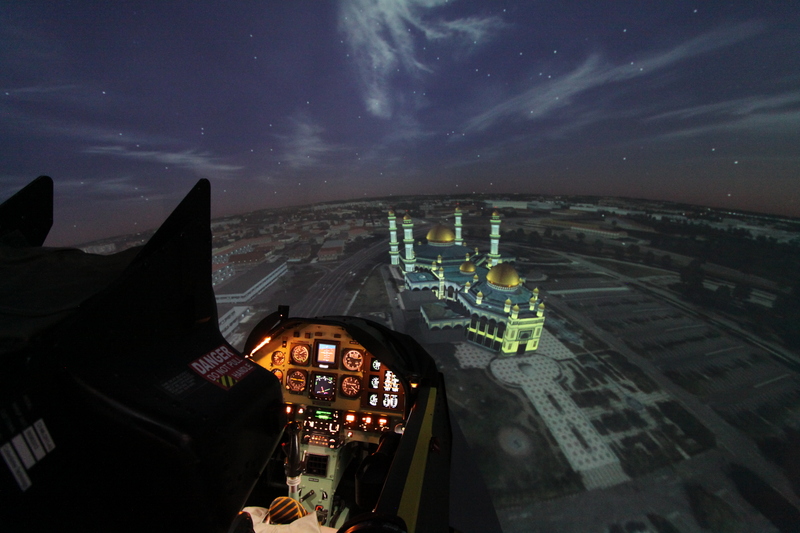 The CAE Brunei MPTC features training for the Sikorsky S-92 helicopter in a new CAE 3000 Series S-92 simulator, which was recently certified by the European Aviation Safety Authority (EASA) to Level D, the highest qualification for flight simulators. Brunei Shell Petroleum S-92 helicopter pilots have begun training at the CAE Brunei MPTC, and it is expected that other international S-92 customers in the region will also train at the MPTC. A CAE-built PC-7 flight training device (FTD) was recently installed at the CAE Brunei MPTC and will now be used to provide training for the PC-7 training aircraft. The PC-7 FTD will complement PC-7 pilot training programs by providing a flight simulator that is safe and cost-effective for procedural, familiarization and emergency training. In late 2015, the CAE Brunei MPTC is expected to take delivery of a CAE 3000 Series S-70i Black Hawk helicopter simulator. The CAE Brunei MPTC has established an Emergency and Crisis Management Centre of Excellence that will provide relevant local authorities such as Brunei's Ministry of Home Affairs and National Disaster Management Centre (NDMC) with comprehensive training designed to better plan and prepare for emergencies. Using simulation-based training, the CAE Brunei MPTC will offer emergency and crisis management training programs that will help improve coordination, response and operational decision-making during a range of emergency scenarios. The CAE Brunei MPTC will also be offering emergency and crisis management training to the Association of Southeast Asia Nations (ASEAN). "We are pleased to officially launch training at the CAE Brunei MPTC just 15 months after breaking ground on this world-class training facility," said Kevin Speed, Director of the CAE Brunei MPTC. "The facility will play a prominent role in the training and education of professionals in Brunei and throughout the ASEAN region who are involved in mission-critical environments. We are honoured to be the Government of Brunei's partner of choice in bringing simulation-based technologies and capabilities to the region to support safety, security, and productivity for Brunei Darussalam and its neighbours." Other simulation-based training programs to support other market segments such as healthcare are expected to be added to the CAE Brunei MPTC in the future.